Home to University of Louisville, which attracts international students from a wide range of nations. Annually over 2000 refugees first call Louisville their home and scattered throughout Louisville predominantly residing in apartment complexes. More than 100,000 people attend the annual WorldFest (a 4 day event) that features international food, music, vendors, ethnic display, and art. The Jefferson County Public School system reports that students speak 109 languages, with 7,106 in ESL classes and 14,008 who speak another language other than English. Louisville is one example of a city that is increasing in diversity due to international immigration, where ethnic minority or immigrant-owned businesses are profoundly influencing the Metro Area. As a result, Louisville has become an international city home to immigrants from around the world. One quarter of the children in public schools are foreign-born. There are over 100 different languages spoken throughout the metro area. People groups come as refugees, international students, immigrants, and business professionals, all looking to start a new life in the greater Louisville area. The more recent migration include the Japanese who have the longest tenure in Louisville with many arriving in the 1980s. In general, Asian people groups migrated in the early 1990s and the years just prior. The next wave was made up of refugees from Bosniaks to Somalia. Bosniaks arrived after 1995, during and after the regime of ethnic cleansing in the former Yugoslavia. The "Southside" of the Metro near the Americana Apartments is the home to numerous different people groups, especially those who arrived in the United States as refugees. A couple of represented regional affinities in the "Southside" include East Africans and Southeast Asians. In addition, approximately 3,000 Bosniaks call Metro their home as do over 7,000 Cubans. Displaying 26-50 of 76 results. Refuge ministers to the nations of Louisville throughout the Metro and focus in high-density international areas. Refuge is located in the Louisville Southside area, the most ethno-linguistic diverse community in the Metro, with over 60 plus people groups and 40 plus ethnic businesses. 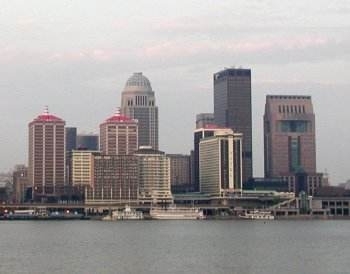 Louisville Cultural Events - A list of ethnic cultural events, festivals, etc. Americana Community Center - support families and individuals from 92 countries helping individuals realize their potential, build strong families, and create a safe community. GLIP - showcases Louisville’s welcoming and inclusive nature by serving as a trusted source of information, conversations and connections between international professionals and the region’s business community. Kentucky Refugee Ministries, Inc. - news, events, and etc. on Refugees within the state of Kentucky.